This is part of my Mother’s Day set for my Mom. 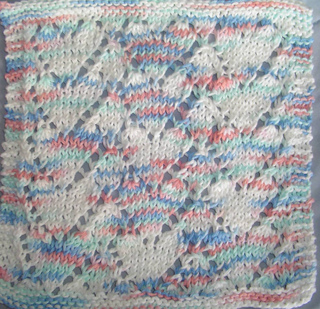 Stephanie Fredrickson (2003) also did this pattern, a little smaller with 4 1/2 rows of hearts. As was done in Vogue Knitting (1989).